Laser and FTS | Dr. Peter Bernath. 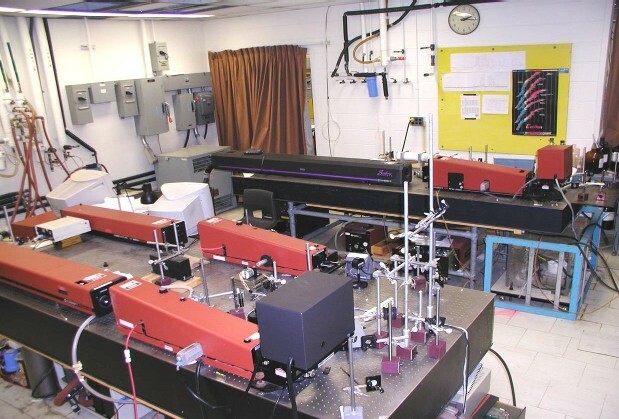 Using laser-induced fluorescence, we have discovered that gas phase alkaline earth metals react with a wide variety of organic molecules including aldehydes, ketones, alcohols, thioethers, amides, cyanates, carboxylic acids, acetylene, and cyclopentadiene. Novel gas-phase inorganic free radicals have also been detected. For example, Ca and Sr react with HNCO to form the corresponding radical salts. Specifically, molecules such as CaCp (Cp = cyclopentadienide), SrCp, CaCH3 and SrCH3 molecules have been studied. These molecules are important simple models for more complicated transition metal organometallic compounds and molecular fragments found on surfaces. In addition to metal-containing free radicals, we are studying a number of combustion-related radicals such as C2N by Fourier transform detection of laser-induced fluorescence and molecular jet expansion techniques. Refractory species are studied by laser excitation spectroscopy using a laser-ablation molecular beam spectrometer. 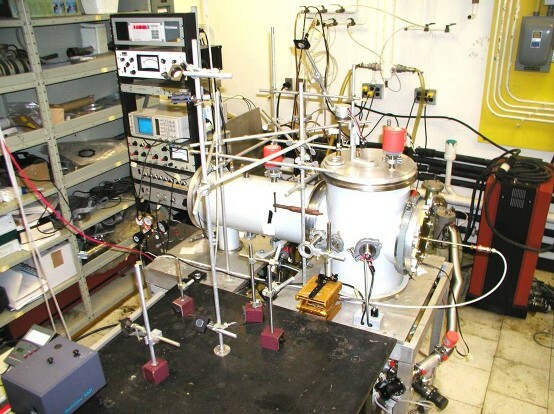 A diode laser system which covers the 400 to 3000 cm-1 region is used to detect metal ligand vibrations in small organometallic radicals including NaF, LiBr and BiH. Infrared emission spectroscopy of electronic transitions (C2, SiC, He2, XeH, C3, and CP) and vibration-rotation transitions (PH, CH, CuH, XeH+, SiS, and BeF2) have proved to be particularly sensitive and powerful techniques. 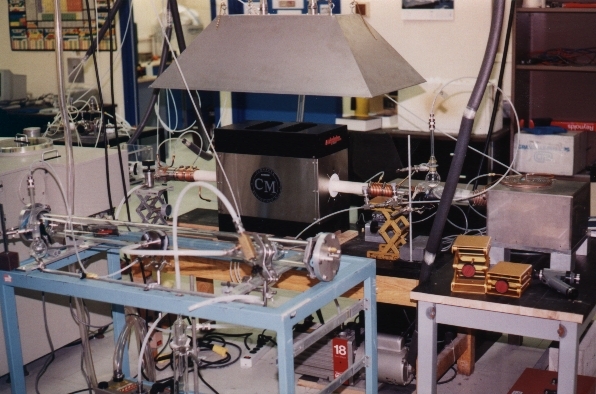 So far, the infrared, visible and ultraviolet spectra of many transient molecules have been recorded, as with the ultra-cold UV emission spectrum of CH3N observed in a free radical jet expansion source. We have also excited molecules with a laser and then detected the fluorescence with a Fourier transform spectrometer.